Choosing between nursing home care and assisted living for a loved one who requires residential care is a difficult decision and one that is faced by many families. Typically, families have very little experience with either type of care and often feel ill-prepared to make the correct decision. The objective of this article is to help families by comparing the strengths and weaknesses of each type of care, including an examination of the payment options, since a decision cannot be made without consideration to that factor. Most people know that nursing homes provide care for individuals who require a higher degree, or a greater frequency, of medical attention than those in assisted living. What is less well known are the specific conditions or behaviors that predicate the need for nursing home care. Individuals with Alzheimer's or dementia, for example, often require a high degree of supervision, but do not necessarily require medical care, while persons with later stage kidney disease might require a lot of medical attention, but very little supervision. Costs: -Approximately $3,950 / month for assisted living or $5,100 / month for supervised Alzheimer's care. More details. -Approximately $6,800 / month. More details. Payment Options: -Predominately paid for out-of-pocket but financial assistance is available in VA Pensions, from Medicaid in some states and other options exists. There is also help specifically for Alzheimer's. 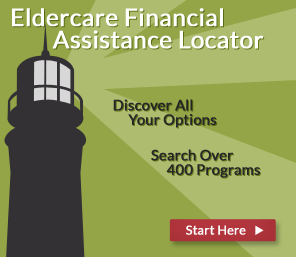 Learn more about paying for assisted living. -Predominately paid for by Medicaid, but beneficiaries must spend down their own assets on care before coverage kicks in or alternatively working with a Medicaid planner can preserve assets. Learn more about paying for nursing home care. Individuals who need frequent hospital stays may prefer a nursing home as the additional services that can be provided there may prevent them from having to move as often. Having Alzheimer's or dementia does not necessarily mean nursing home care is required. Many assisted living communities have specialized areas for individuals with Alzheimer's in which increased supervision is provided to help prevent wandering.